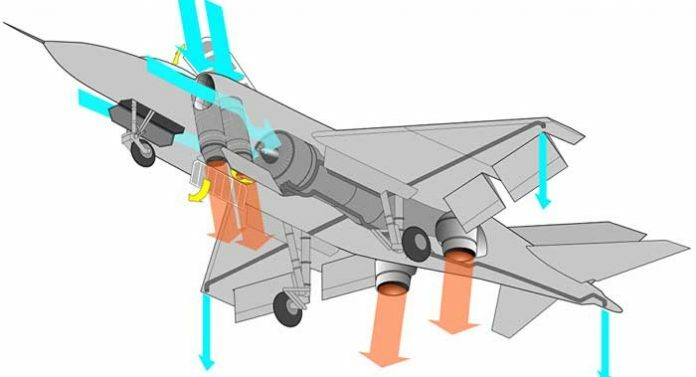 Can Russia Build a VTOL Fighter Jet? 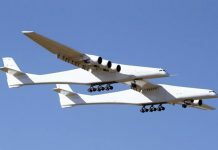 Last month, the Russian Defense Ministry confirmed that work is under way on a new VTOL plane design. Deputy Defense Minister Borisov said that the naval aviation variants of the MiG-29 and Su-33 fighters in use by the Navy today face becoming obsolete in the next decade. The Yak-38, first introduced in 1976, quickly became the USSR’s most heavily-produced VTOL aircraft, and enjoyed widespread deployment aboard the Soviet Navy’s fleet of Project 1143 heavy aircraft carrying cruisers, including the Kiev, the Minsk, the Novorossiysk and the Baku. The Yak-38 garnered a poor reputation among pilots due to a high accident rate (with several dozen of the 231 Yak-38s built destroyed or scrapped following accidents). 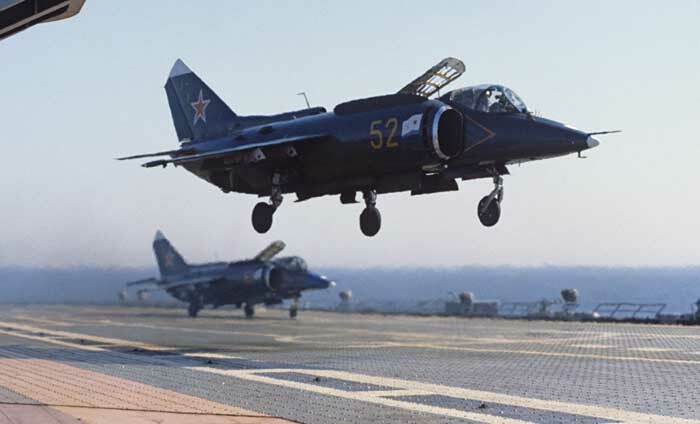 As military observer and RIA Novosti contributor Vadim Saranov pointed out, the planes’ capricious nature limited flight time aboard aircraft-carrying Navy ships to a paltry 40 hours a year. Owing to the Yak-38’s difficult operational history, Soviet designers almost immediately began development of a new aircraft – the Yak-141. 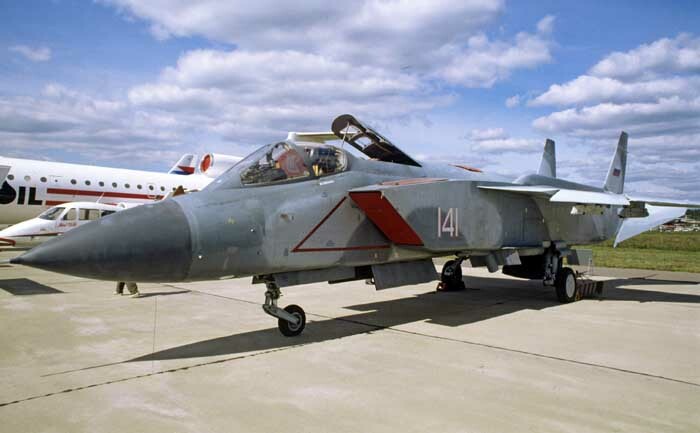 Considered a highly promising design by Soviet and Western observers, the Yak-141 program was canceled after the collapse of the Soviet Union. Lockheed Corporation entered into a partnership with Yakovlev with the official aim of funding the program. Years later, many Russian observers suggested that Lockheed, already working on its X-35 F-35 prototype, effectively bought out the Yak-141’s technical documentation for about $400 million. Not everyone agrees. Oleg Panteleev, editor-in-chief of Russian aviation news agency Aviaport.ru, said that VTOL fighters’ heavy consumption of fuel on takeoff, combined with the flexibility of traditional aircraft designs, makes fielding a large fleet of air force VTOL fighters impractical. Sikvov emphasized that Russian design bureaus have no time to lose for creating a new VTOL design. 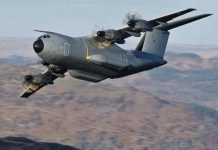 “Aircraft with VTOL capability can be based not just on conventional carriers, [but on much smaller ships.] 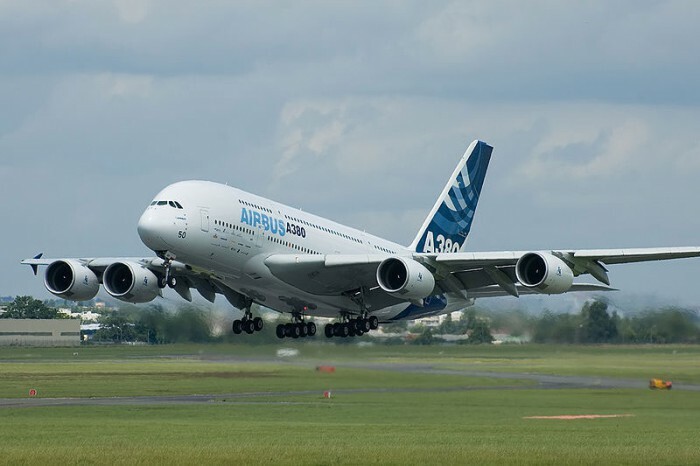 For example, a tanker equipped with a ramp becomes a kind of aircraft carrier; we had similar projects during the Soviet era,” the analyst said. “Furthermore, VTOL aircraft can be used aboard helicopter-carrying combat vessels such as frigates,” he added. “The Russian aviation industry has opportunities in this direction, particularly since many systems can be unified with the Su-57 fifth-gen fighter aircraft,” the journalist noted.